Join us for an evening featuring Juan Cole. Juan is an Ann Arbor local and professor of history at the University of Michigan. A revered public intellectual, he is the author and creator of the award-winning blog Informed Comment, which averages 4.5 million page views a year. He is the author of Napoleon's Egypt, Engaging the Muslim World, and The New Arabs and has appeared on numerous television programs including the PBS Newshour, MSNBC's Rachel Maddow, CNN's Anderson Cooper 360, ABC's Nightline, and The Colbert Report. Seating at the event will be first-come first-served. This event will be a standing-room crowd, so if you require a seat for medical reasons, please contact us in advance to make arrangements. Many observers stereotype Islam and its scripture as inherently extreme or violent-a narrative that has overshadowed the truth of its roots. In this masterfully told account, preeminent Middle East expert Juan Cole takes us back to Islam's-and the Prophet Muhammad's-origin story. 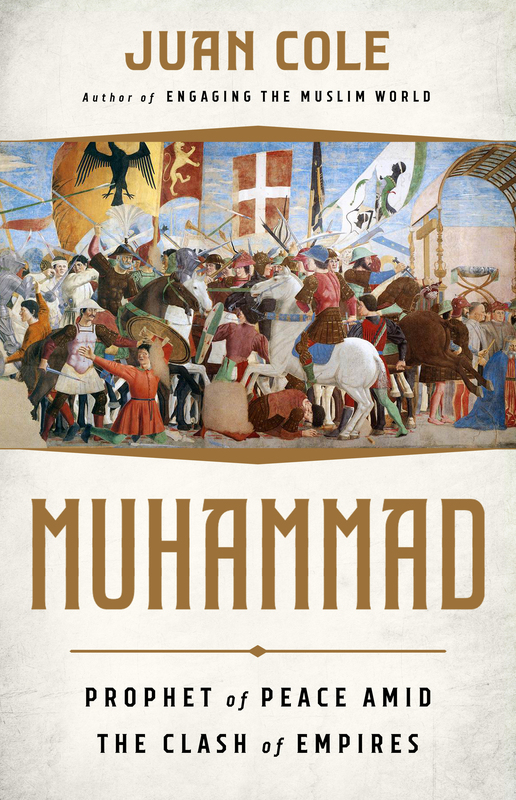 Cole shows how Muhammad came of age in an era of unparalleled violence. The eastern Roman Empire and the Sasanian Empire of Iran fought savagely throughout the Near East and Asia Minor. Muhammad's profound distress at the carnage of his times led him to envision an alternative movement, one firmly grounded in peace. The religion Muhammad founded, Islam, spread widely during his lifetime, relying on soft power instead of military might, and sought armistices even when militarily attacked. Cole sheds light on this forgotten history, reminding us that in the Qur'an, the legacy of that spiritual message endures. A vibrant history that brings to life the fascinating and complex world of the Prophet, Muhammad is the story of how peace is the rule and not the exception for one of the world's most practiced religions. Juan Cole is a professor of history at the University of Michigan. A revered public intellectual, he is the author and creator of the award-winning blog Informed Comment, which averages 4.5 million page views a year. He is the author of Napoleon's Egypt, Engaging the Muslim World, and The New Arabs and has appeared on numerous television programs including the PBS Newshour, MSNBC's Rachel Maddow, CNN's Anderson Cooper 360, ABC's Nightline, and The Colbert Report. He lives in Ann Arbor, MI.